I have done a lot of things in life with clenched fists. In my years as a single woman, I was constantly trying to “play the game,” forcing things to work, adapting to others, and holding tightly to words and moments. I just wanted to make it happen. When I was job searching, I would search, revise, submit, search, revise, submit. Tweak this. Tweak there. Contact. Hustle. Contact more. “If nobody was going to give me a chance, I’ll make my own opportunity!”, I’d tell myself with determination and a dash of bitterness. I just wanted to make it happen. Spinning my wheels, burning myself out. I just wanted to make it happen. We are on Week 15 of our half marathon training. Does this make me an official “runner” now? I still sometimes struggle to identify myself as a runner. I still get that impostor syndrome feeling. Either way, during this training process, I have come to value a lot of the products and systems that I have used, so here is a list of my running essentials so that you may give them a use too! 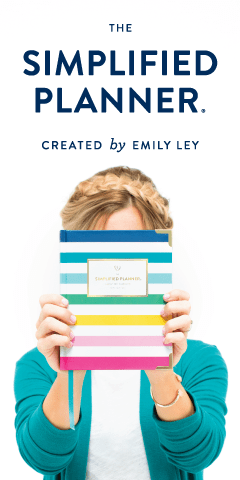 The love for Emily Ley and Simplified® is getting real, you guys. It was love at first sight when I came across Grace, Not Perfection: Embracing Simplicity, Celebrating Joy at Barnes & Noble in 2016 and got it for Christmas from Jordan. It was the first book I read in 2017 and I wrote a recommendation for it too. That’s when I learned about her company and the Simplified Planner®, which was just recently renamed to Simplified® and I was officially swept off my feet! We made it through the first half of our half marathon training (so many halves!) and I can’t believe it! Eight weeks down with eight weeks left to go. I have now reached a point where I can clearly see a difference physically and in my endurance. Two miles used to be a struggle and last week I did five miles on the treadmill and fives miles outside and did them both right under an hour! Last night, I ran four miles on the treadmill and didn’t walk once. It’s amazing how are bodies can adapt and change. Part of it was that I was getting sick and tired of not doing it. Running a half marathon that is. Or simply just taking a shot at conquering one of my…I wouldn’t say fears, but something I wasn’t quite sure how I would do. I can tell you, “Run a 5k” has been on my new year goal list more than once and never done and then last year I upped the ante and challenged myself to a 10k, but never even looked into it nor completed one day of training. So at this point, I am over it. I am tired of just not doing it. I’d been craving a physical challenge of some sort since competing in Miss Kansas USA. This seemed like the right one to do next. I talked it over with Jordan (who has one half marathon already under his belt!) and he found a good one for beginners and we decided to do this together. We registered for the run in October 2017 and it’s not until April 2018. We ripped the band-aid and didn’t look back! 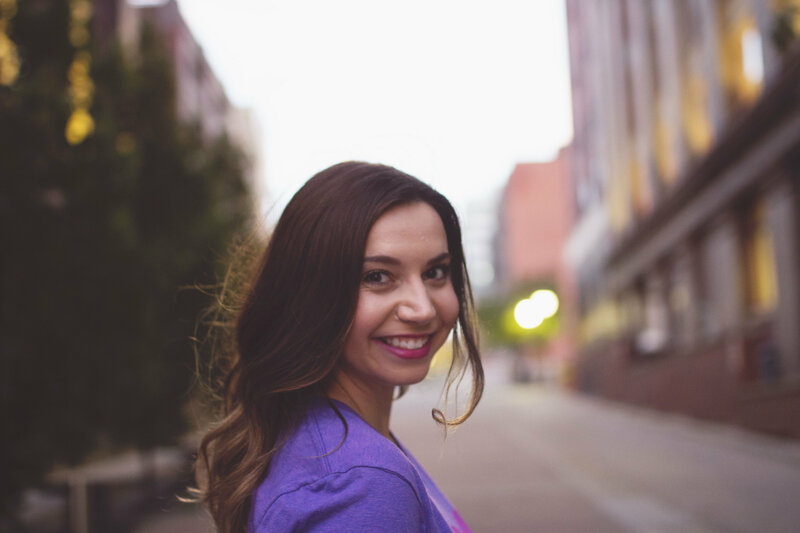 Extra sprinkles: One of my best friends, Jade, decided to sign up too! And it will be her first one as well. Talk about accountability and support! What. a. relief! I started my debt-free journey with 5 credit cards and it was so exciting to pay off the last two big ones! Now I just have my car and student loans left. What?! This felt like a a huge accomplishment to me because for years, I have loved the idea of having a Christmas Fund and had yet to succeed in actually saving and having one, until 2017! I could tell there was less worry and sweat when shopping and now it’s January and I don’t have a credit card statement coming in the mail reminding me of my Christmas purchases! The Extra Sprinkles for sure was that my story was shared on Dave Ramsey’s Facebook and Instagram channels! I’m fascinated with the number 3. 3 Pennies became a big part of my life. So when I was gifted an Alex and Ani gift card, I decided to get the Number 3 charm bracelet as a nod to 3 Pennies. Reading the description for its meaning on their website seemed to deepen my connection to the number. Three is the number of creation, artists and intuitives, as well as the Trinity, sacred in many religions. Embodying divine wholeness, the number encompasses the mind, body, and spirit, as well as the past, present, and future. People who embody the number three are said to be imaginative, talented, and dynamic. Live your life with child-like joy and wonder, using your creativity. And the words, Wholeness, Intuition, and Creativity are empowering words that are good reminders for me to have too. and it’s hard to say, I am enough. And then just recently, I shared one of the hardest posts I have written yet, “How I’m Real: The Rainy Days” in which I recounted a bad day I was having mentally. When I wrote down all the terrible things I was telling myself over and over again that day. They all pointed back to me feeling like I am not enough. So this theme of not being enough and doing enough has been lingering for years. I wasn’t sure how to help it. A. How many of you budget? B. How many of you kind of budget? C. How many of you know know the concept of a budget and know it’s a good idea, but don’t really know how to do it with your own money and get intimidated so instead you just don’t do it at all. And these aren’t rhetorical questions! I for real want to know! So answer below or let me know via social media! I used to be C.
I still remember how overwhelmed I had become with my finances. I would sit down to pay bills and I would see my credit card, car, and student loan balances and my head would swirl trying to figure out where to start. How was I supposed to pay these things off? Do I just put an extra $5 on this credit card and this one and maybe this one if I think I might have the room for it? I had no idea. My eyes were looking down at my bowl of soup, but I wasn’t fully looking at it. I was so deep into my head, it didn’t seem like I was fully present. Jordan will always ask, “Are you doing okay?” when he can sense I am stressed, sad, upset, or struggling with a bad mood. But this time, when he asked it was different. He seemed alarmed and genuinely concerned. This was last September. When I was going on my sixth month of job searching with a lot of rejection, silence, and no light in sight. I was waitressing, working retail, and freelancing to barely scrape by. One of my favorite human beings in the whole world passed away the month before. Earlier that day, I got mad at Jordan (which never happens) over the littlest thing right before I left for job #1 of the day. It was the thing that broke open the big glass jar of negativity I had filled so high I was struggling to keep the lid shut. So much that I was tired and gave in. I tossed the lid and turned the faucet on and let the negativity spill over the top of the jar. I let it go at a constant flow all afternoon. My mind took my heart out back and brutally beat it up. I’ve never seen Star Wars, so I am just letting everyone know that now.